As usual, the WBFSH-ROLEX annual breeding awards will take place during the CHI Geneva which runs from December 6-9. During a special breeding evening, this year’s winning breeders will each be presented with a ROLEX timepiece. They are, in dressage, Piet Crum for Verdades (Florett As x Goya); M.M.A. 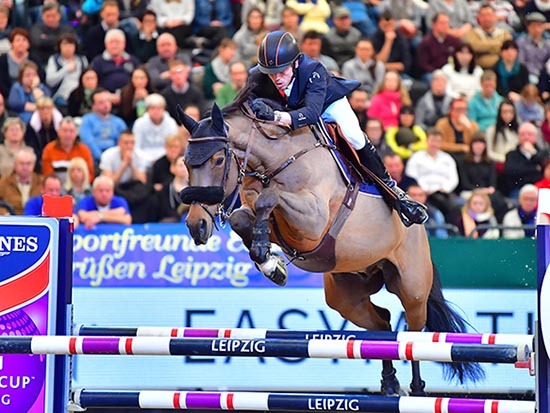 (Mario) Everse for Zinius (Nabab de Reve x Kannan) in showjumping ; and A.M.C.M. van Bezouw (NED) for Albano Z (Asca Z x Babouche van het Gehucht Z), the leading eventer. The late Piet Crum from Herwaarden, the Netherlands, is the breeder of 16-year old Verdades, ridden by Laura Graves (USA). This Floret As son out of star prestation mare Liwilarda (Goya x Renovo) made his jump forward in the WBFSH dressage horse ranking after winning double silver medals at the FEI World Equestrian Games™ Tryon 2018. This well-known duo become the first American partnership to be ranked number one in the world.